Join us for FAT TUESDAY on the 13th of FEB, 2018. 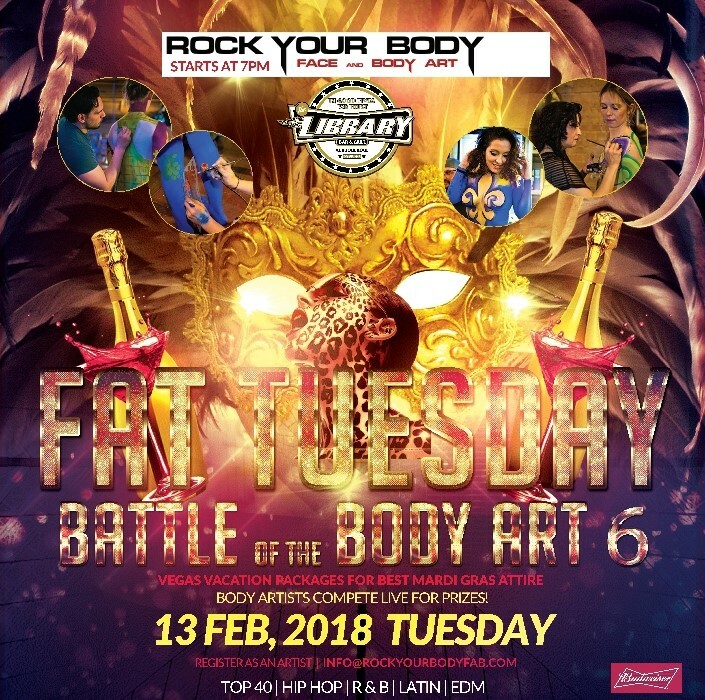 We’ll be having BATTLE OF THE BODY ART 6. Body artists will be competing live for prizes! Presented by Rock Your Body Face and Body Art. We’ll also be giving away Vegas Vacation Packages for the BEST MARDI GRAS ATTIRE. 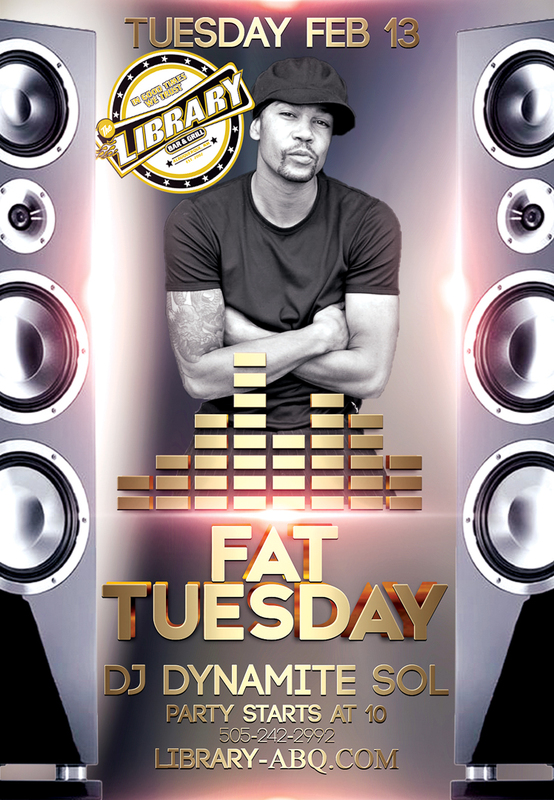 The body painting starts at 7pm and make sure to stick around and party the night away with DJ DYNAMITE SOL.